You've Come To Journey's End. 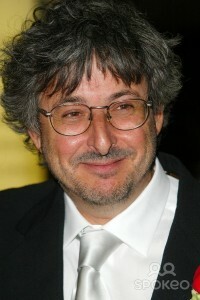 So, so sad to hear of Andrew Lesnie's passing. His work bringing Middle-Earth to life was unparalleled. He was a genius of cinematography and his passion was always evident in everything he did. When the first Hobbit extended edition came out on DVD, I remember squealing and shouting his name when I saw him in the behind-the-scenes. As if running into an old friend on the street corner, I was thrilled to have him back in my living room. He will be missed. Oh no! What happened to him? PJ will miss him terribly. So sad. Yes, I read that he had a heart attack after I asked the question. I'm guessing he had no history of heart problems. His death seemed totally unexpected. Such a shame. That's a beautiful tribute. What a loss.